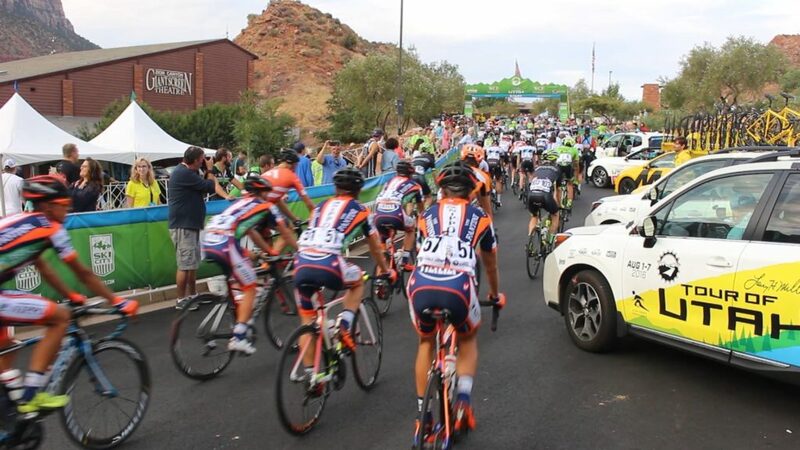 CEDAR CITY – Hundreds gathered along University Boulevard in front of the new Beverley Taylor Sorenson Center for the Arts Monday morning to welcome the peloton as it made its way down state Route 14 into Cedar City. 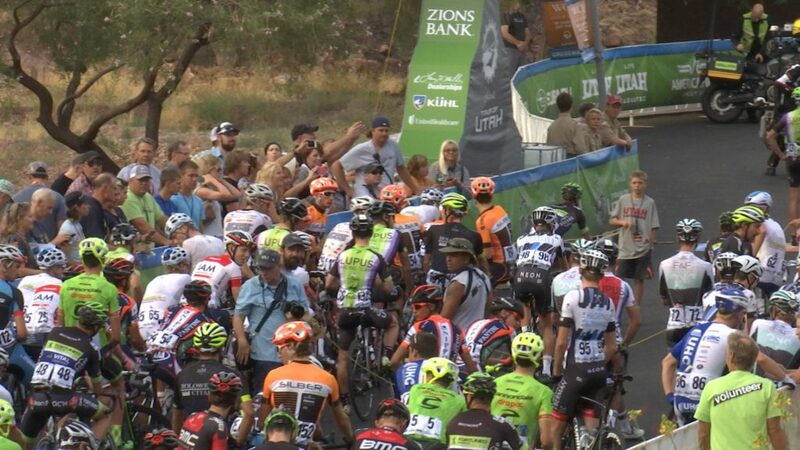 This is the third year Cedar City has hosted the Stage 1 finish line of the Larry H. Miller Tour of Utah that is now in its 12th year. 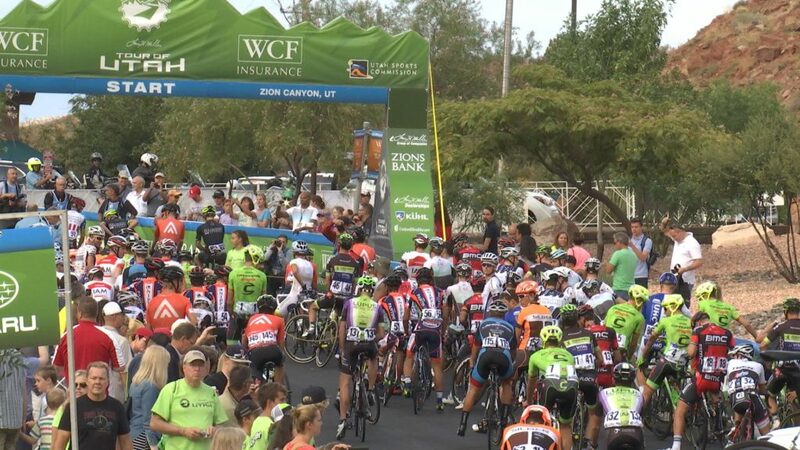 Deemed “America’s Toughest Stage Race,” the event is a weeklong professional race sporting 120 international riders representing 25 countries. This year cyclists will cover 705 miles of racing and 52,825 feet of climbing. 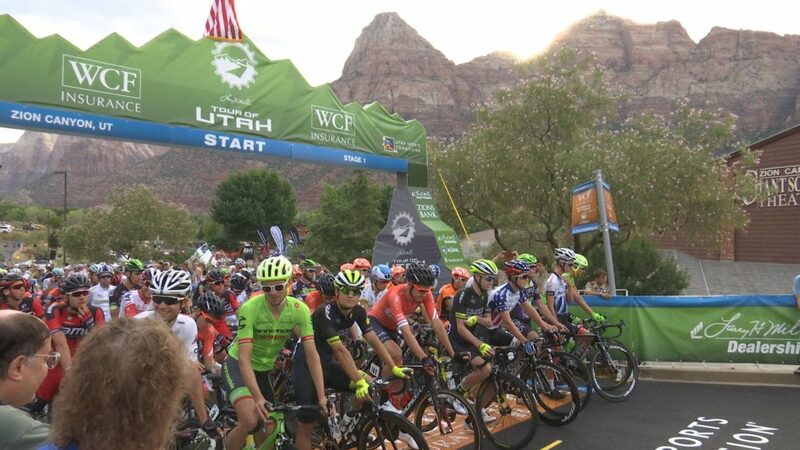 The Stage 1 race started at around 7 a.m in the shadows of the jagged spires of the Watchman, one of the prominent peaks in Zion National Park at Zion Canyon Village. Racing began after the peloton exited the East Entrance to the park. 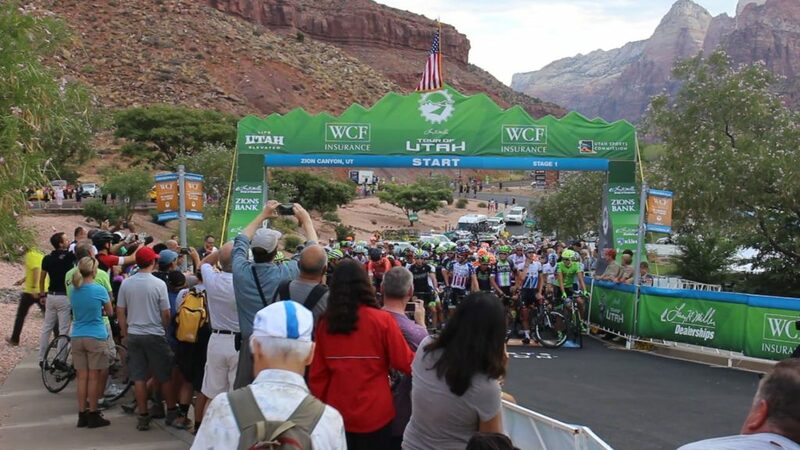 A total of 84 miles, the race gained over 6,600 feet in elevation traveling through Zion National Park and winding around through three counties – Washington, Iron and Kane – to find its way through the alpine regions of the Dixie National Forest. 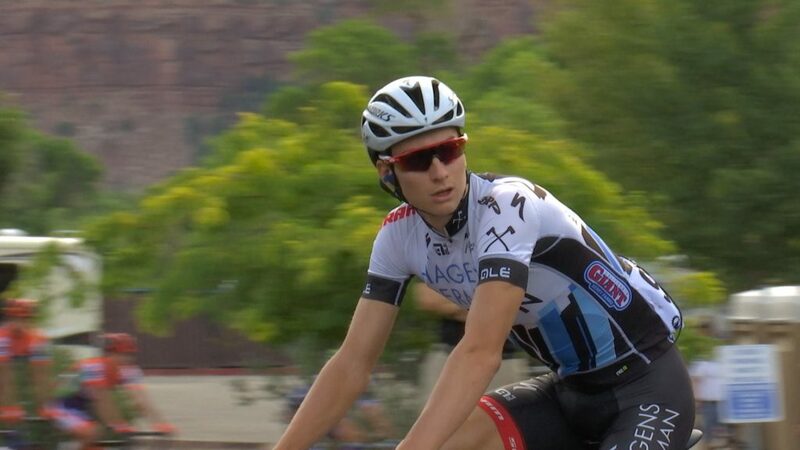 Four riders led by 10 kilometers at the onset of the race and managed to get a five-minute gap on other riders pushing to the first King of the Mountain climb of the day at Duck Creek. The gap started to come down on the second KOM at Bristlecone, where the riders crested at 9,600 feet above sea level near Cedar Breaks National Monument. The final 20-mile descent down Cedar Canyon ended at around 11:30 a.m. in Cedar City where racers completed three laps around Southern Utah University campus. “This is an extraordinary opportunity to show that SUU is leading the state and the nation in bringing in world-class events and showing world-class facilities with our 6-acre Beverley Center for the Arts,” Ellen Treanor, executive director of brand strategy at SUU, said. 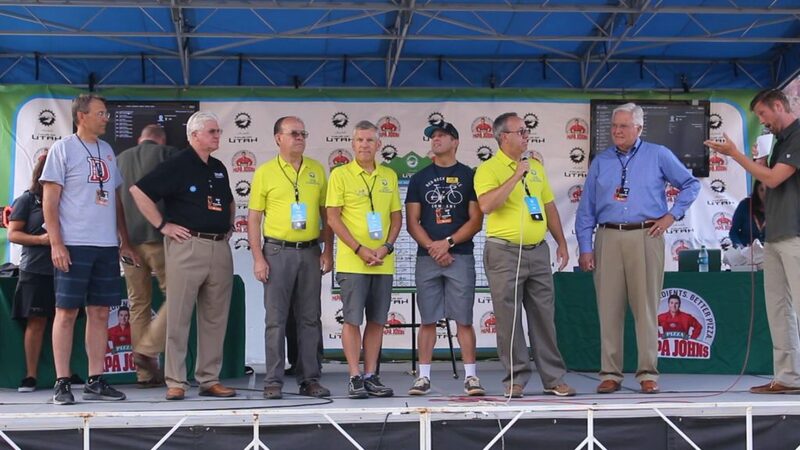 Stage 2 finds familiar territory on Tuesday when the race will follow Scenic Byway 12, an All-American Road that weaves its way through picturesque Garfield and Wayne counties. A new start this year will be hosted in Escalante, which sits in close proximity to Grand Staircase-Escalante National Monument. Escalante, that has seen the race pass through in 2013 and 2014, sets the stage for 99 miles of racing. The peloton will gain 9,435 vertical feet at Stage 2. A sweeping descent will be made into Torrey, with the addition of two 17-mile circuits through the town of Teasdale situated next to the red rock spires of Capitol Reef National Park. 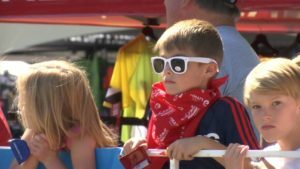 Sprint lines will be held in Boulder and Torrey. This year’s Tour coincides with the National Park Service Centennial, providing a once-in-a-lifetime opportunity to promote the Centennial goal of connecting with and creating the next generation of park visitors, supporters and advocates. “The scenery was beautiful. I come from the East Coast and we do not have anything like that. I’d like to thank the Tour of Utah and the National Parks for giving us the opportunity to ride here. 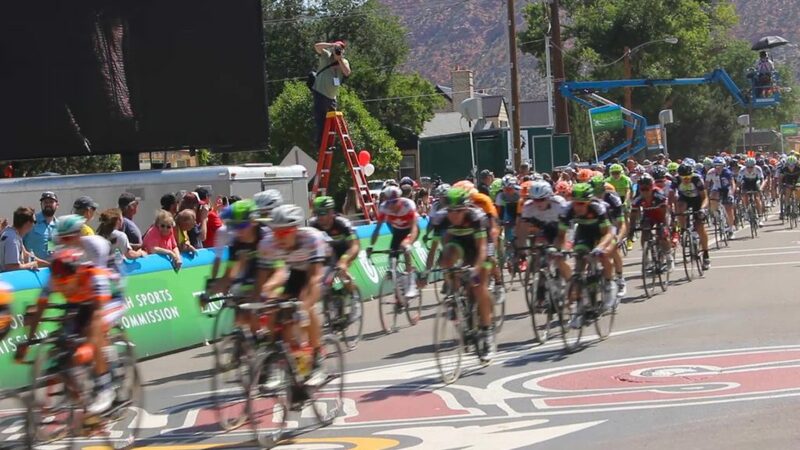 A lot of riders come from Europe and will take this memory back with them,” Cannondale-Drapac Pro Cycling’s Ben King from the United States said. 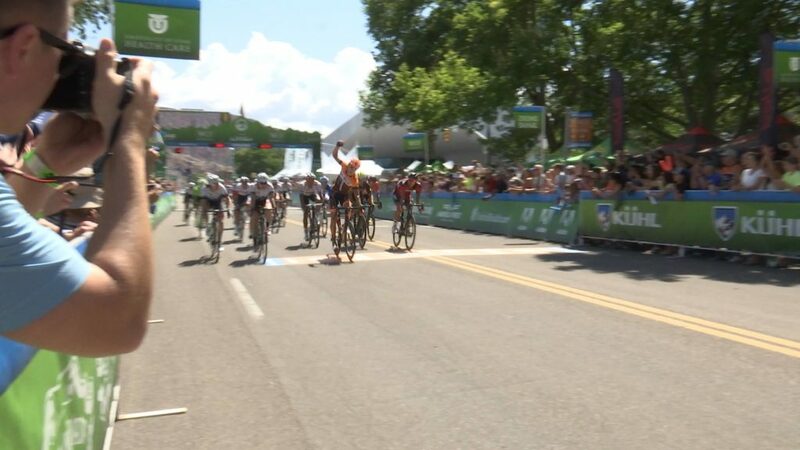 Silber Pro Cycling’s Kris Dahl from Canada sprinted to victory Monday in front of a fast charging peloton, the overall lead for the Stage 1 race. 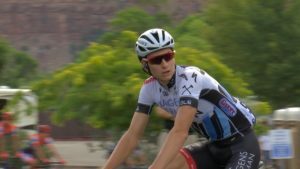 Dahl outperformed Axeon Hgens Berman’s Colin Joyce from the United States and BMC Racing Team’s Rick Zabel from Germany. Joyce and Zabel finished in second and third place. 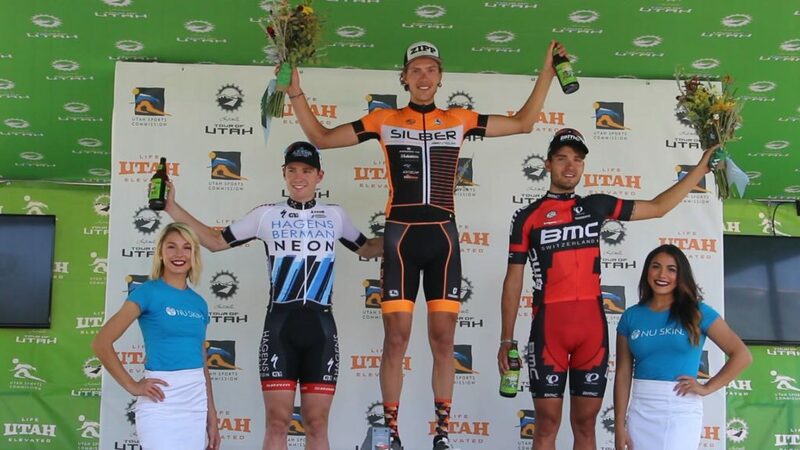 Dahl, whose Continental team is making its inaugural appearance in Utah, claimed the first Overall Jersey of the 2016 Tour of Utah. 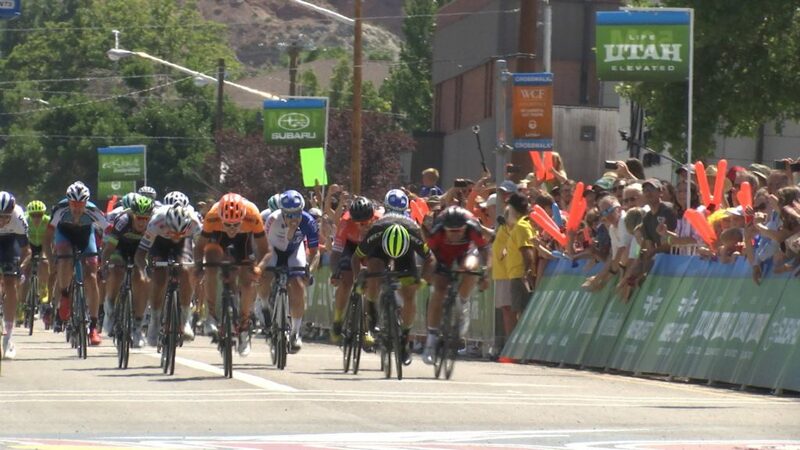 Dahl surprised the peloton by opening his sprint early along the downtown circuits in Cedar City to claim the biggest victory of his career. 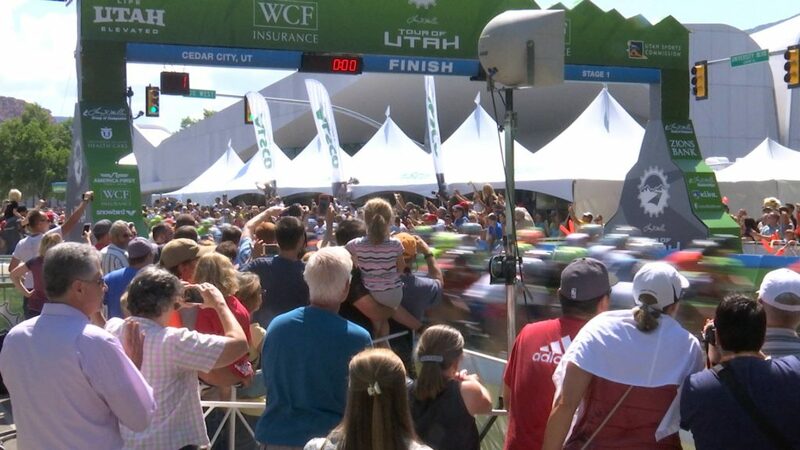 More information about the Tour of Utah, host venues and professional teams can be found by visiting www.tourofutah.com, as well as social channels Facebook (tourofutah), Twitter (tourofutah), Instagram (thetourofutah) and YouTube (tourofutah). Great video. Great coverage St. George News! Loved this.